Give your home a fresh and floral scent with this darling little lark lavender sachet. Hang in your windows for a clean, springy vibe! This cute sachet also makes for a thoughtful keepsakes gift for family and friends. Quick and easy to make, this project requires only basic materials. 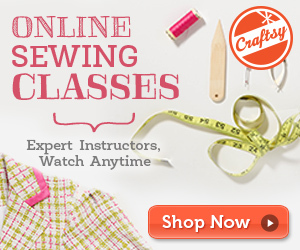 It is perfect for putting to use those scrap fabric you have lying around! This pretty pattern is a design by the talented crafters over at Craftsy. In fact, you can access the FREE downloadable pattern for this little lark sachet from the Craftsy website. To access the FREE downloadable pattern for this charming project, please click on this link: Little Lark Sachet Pattern.